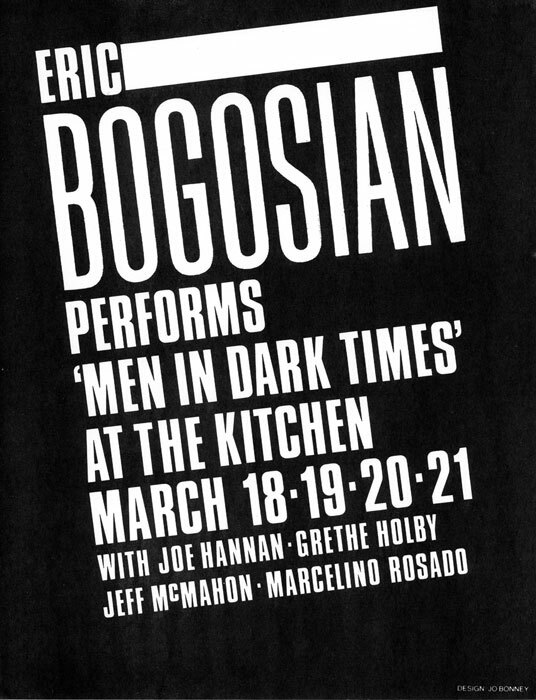 On March 18-21, 1982, The Kitchen presented the premier of Eric Bogosian’s play Men in Dark Times. 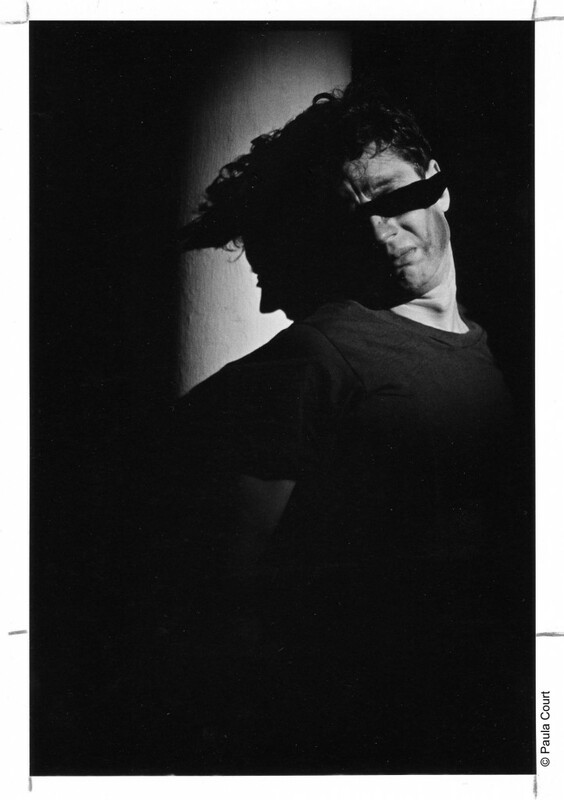 Starring Bogosian, the play consisted of twelve vignettes, in which Bogosian—with the aid of three other actors—performed the roles of a diverse array of characters: a middle-aged Italian day laborer, a teenage punk-rocker, a go-go dancer, a clean cut politician, and a satanic demagogue, to name a few. 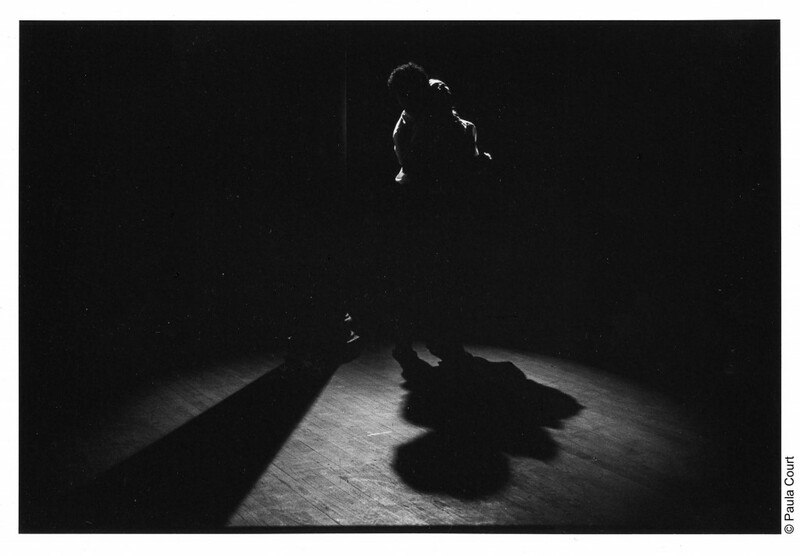 Changes of scene and character often brought dramatic shifts in theatrical intensity, from moments of near stillness to those of fever-pitch ferocity. 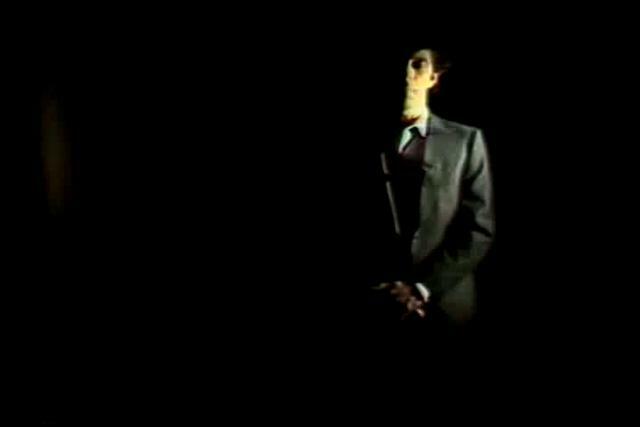 In all of his characters, Bogosian finds quantums of genuine human experience, which he exaggerates and stylizes in order to paint an absurd, often-grotesque picture of the human condition.